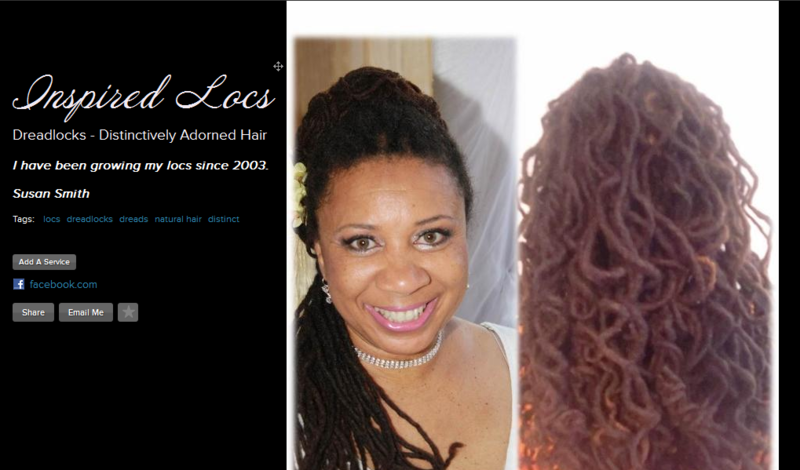 InspiredLocs.com was founded by Susan Smith (that's me), in 2003. I began my loc journey in September 2002. I've spent a considerable amount of time researching, studying and practicing "all things locs" and really had a desire to share the tons of information I have with others. I love to teach and am the author of this site. Jeffrey, my husband is my spiritual support, and my life encourager. Dae’ron and Dondre', my sons, are my technical support advisors, business advisors, and my possibility stretchers. Rileena my sister, and prior licensed cosmetologist, is unmistakably one of the top experts in the area of locs, she's also my boldly inspired, creative loc mentor and is the one who started my locs in 2002.